Product information "Altyn / K6-3 Russian Spetsnaz Helmet Keycap (PUBG, Tachanka Helmet)"
The visor has a glossy varnish, to imitate glass. 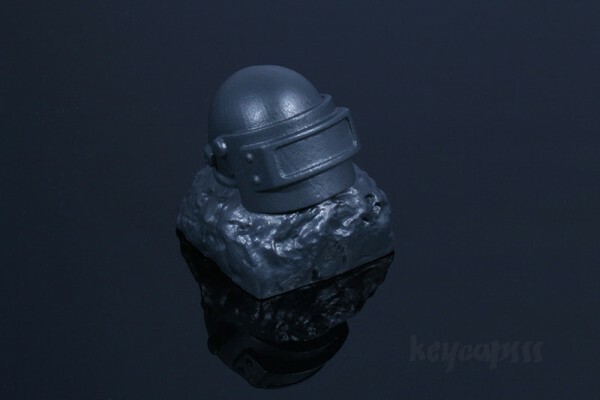 This is a keycap with a legendary K6-3 / Altyn army helmet. The helmet is used by the Russian Spetsnaz FSB from the middle of the 1990s until today. It is also known from the popular game PLAYERUNKNOWN's BATTLEGROUND (level 3 helmet). The K6-3 and Altyn helmets look very similar but are different models. The visor is made from clear ballistics glass and the helmet itself is made from titanium with a thickness between 4 and 6 mm. 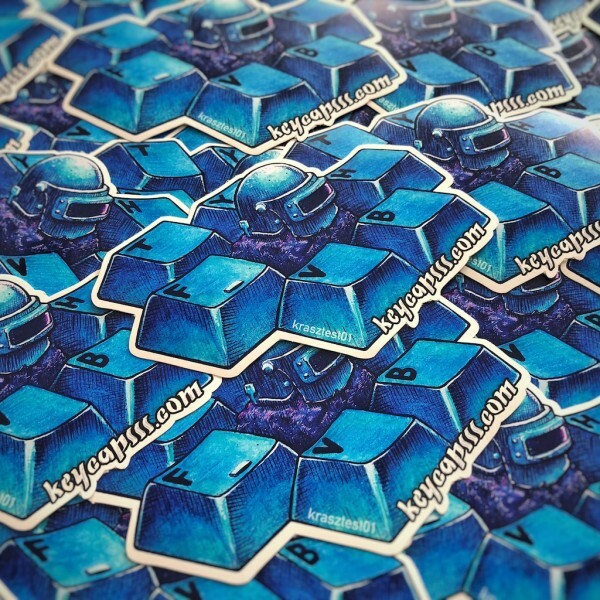 Customer evaluation for "Altyn / K6-3 Russian Spetsnaz Helmet Keycap (PUBG, Tachanka Helmet)"
Can you make this to fit on the romer g switch> I have a logitech keyboard.